Oscar-related infographs galore! !… And yet another another one about the lack of diversity in the Academy. In case you haven’t been paying attention to the season, check out In Contention’s 10 Things You Need to Know About the 2014 Oscars. While I may not agree describing last year’s show as “terrible,” these are the most important facts to keep in mind leading up to the big night. Moving away from Oscar for a moment (I know, right? )… The real backstory of Andy’s mom make the Toy Story films that much more endearing. For all you parents, here’s a bunch of amazing looking Disney-themed cocktails to enjoy while your little ones enjoy the princesses on screen. I really want to try so many of these! That’s all for today. Enjoy your Oscar Weekend! Oh, and Mardi Gras, too. Yeah that’s happening, apparently. Welcome to The Screen Life’s Oscar Predictions! This is last in a 6-part series, in which you will find a quick breakdown of each category, accompanied by ranked predictions. Also be sure to check out the complete OSCAR PREDICTIONS page (in the menu up top), which will be continually updated throughout the week. This is your grand guide to this Sunday’s big night! Martin Scorsese and Alexander Payne crafted incredible films – #1 and #2 respectively on my Top 10 List. Nevertheless, they’re all but sitting this one out. This is a close 2-man race, with a third nipping right behind their heels. That third is David O. Russell who, with his third nomination in only 4 years, already feels overdue for an Oscar. Many believe this is his crowning achievement (though not yours truly), but as American Hustle’s buzz has quieted a bit, so has his chances to win here. That leaves the other two to duke it out. Steve McQueen has created a groundbreaking, monumental achievement. He is only the third black director ever nominated and the first to get anywhere close to winning. He could definitely win this. Splits between the picture and director are very rare and nearly impossible to predict, so if his film wins, he could easily scoop up this award as well. Alfonso Cuarón is not making it that easy, however. He too has created a groundbreaking, monumental achievement. Plus, he has swept the director awards in nearly every precursor imaginable, including the all-important DGA. All signs seem to point to his direction. If Best Picture is still murky, Best Director is just a little clearer. Not clear, mind you, but clearer. 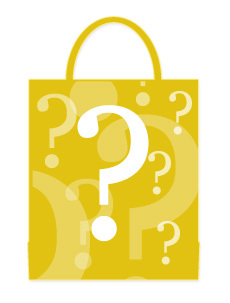 And finally we come to the biggest question mark of the season. That the ceremony is 2 days away still nobody really know who is going to win is incredible. Add to that the highest quality line-up of nominees in years (8 of these 9 movies made my Top 10 List), and we have the most fun and exciting awards race in recent memory. What we do know, for the most part, is who’s not going to win. So let’s start there. Her and Philomena both have a great deal of passionate supporters. The former has a nice bunch of critics’ awards, and the latter has the full attention of the great Harvey Weinstein campaign-machine (admittedly having an unusual off-year). But they are bringing up the rear of this powerful pack. 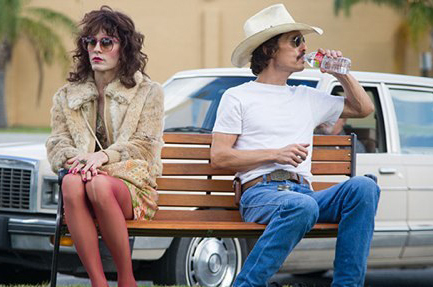 Just ahead of them is Dallas Buyers Club, with far more nominations than expected and 2 likely acting wins. Nebraska is the kind of touching and hilarious film no one can not adore, and managed to wrestle a director nomination away from Captain Phillips. If I were voting, The Wolf of Wall Street would be #1. If it had been released sooner it might have been more of a contender. As it is, much of the initial scandal has subsided and more people are appreciating its brilliance. 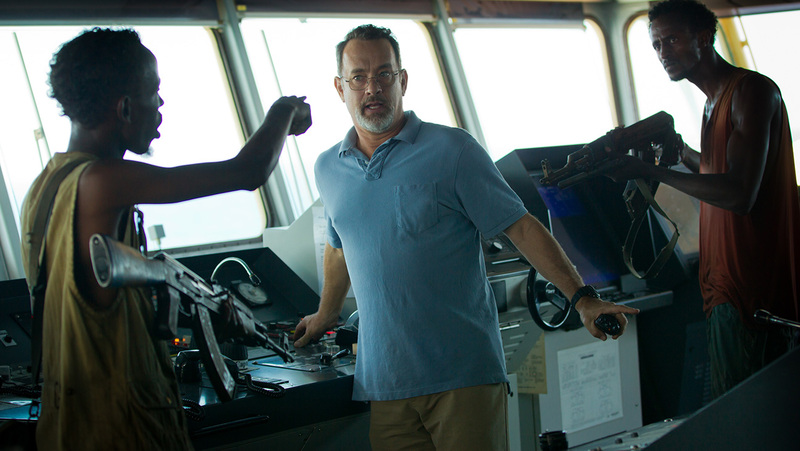 Captain Phillips seemed doomed after Tom Hanks and director Paul Greengrass were shutout, but ever since then it has picked up several guild awards in the tech categories. If it weren’t for that missing director, I’d be tempted to put it ahead of American Hustle. That film, meanwhile, at one time appeared to be locked in a 3-way dead heat for the win. After multiple top awards from critics, winning the SAG ensemble, and tying Gravity for the most nominations, Hustle was really “hustling”. But ever since the other 2 tied for the PGA, it lost a bit of mojo and hasn’t picked up much since then. That PGA tie was basically a microcosm for the entire season. The PGA is the only other award besides the this one to use a preferential balloting system, which makes ties particularly difficult, and yet it still happened. Gravity and 12 Years a Slave have been sharing the top spot ever since their premiers within days of each other back in Telluride. Every time one appeared to gain the edge, the other pulled right back up. There hasn’t been a race this close since 2000’s Gladiator vs Crouching Tiger Hidden Dragon vs Traffic. And if you think of Hustle as still being in the mix, it’s even closer. Gravity might appear to have the slight edge with that DGA win. The DGA is still the biggest and best predictor for the Best Picture Oscar, even more so than Director. As I mentioned, splits between picture and director are rare and impossible to predict. (Last year was a very unusual exception.) Generally voters will vote the same for both. So by that logic we may see our first ever 3D sci-fi Best Picture winner. But despite all of Cuarón’s directing victories, 12 Years a Slave has continued to win the top prize just about every time. It’s taken the vast majority of every “Best Picture” award out there. The only thing it has really lost is that ½ PGA. What’s more, it still has all the buzz it’s ever had. Despite missing out on some of the tech guild awards, it hasn’t appeared to lose any momentum. What it really comes down to is that none of the predictors are really telling us anything. The only choice is to go back to the first awards – the critics’ awards. Ever since the King’s Speech/Social Network nightmare, the critics have seemed less important, but this year they’re the only steady trend we have to go by. And that trend is clear: Cuarón for Director and 12 Years a Slave for Picture. A split. As crazy as it sounds, that’s what I’m predicting. Welcome to The Screen Life’s Oscar Predictions! This is part 5 in a 6-part series, in which you will find a quick breakdown of each category, accompanied by ranked predictions. Also be sure to check out the complete OSCAR PREDICTIONS page (in the menu up top), which will be continually updated throughout the week. This is your grand guide to this Sunday’s big night! Jared Leto has won just about every single precursor imaginable. His excellent performance has practically steamrolled this category, and there is almost no way he can lose the Oscar. If by some bizarre chance he does, look to the only nomination he missed: BAFTA. In that vacuum Barkhad Abdi scooped up the award for overshadowing a Tom Hanks at the top of his game. Michael Fassbender seemed to be a strong contender for his powerful performance of the evil-yet-human slave owner, but his campaign never really took off. Bradley Cooper and Jonah Hill were both a bit of a surprise when nominees were announced, leaving the more deserving Daniel Bruhl (Rush) out in the cold. While Hill’s campaign has been one of the most noticeable, neither stand much of a chance to win. Julia Roberts and Sally Hawkins are both on the outside looking in, overshadowed by co-stars nominated for Lead Actress. The fantastic June Squibb has her fair share of supporters and could scoop up the trophy in a split-vote situation. But this race really comes down to a tight one between the two ingénues. In the nominating phase, this was the most packed race of all. 8 actors all seemed guaranteed one of the 5 nods, with no real leader and nobody really sure who would be left out. In the end Robert Redford (All Is Lost), Tom Hanks (Captain Phillips), Forest Whitaker (The Butler) and Oscar Isaac (Inside Llewyn Davis) were all left waiting in the wings as Leonardo DiCaprio and the largely unexpected Christian Bale nabbed what at the time seemed to be the last two slots. It was Bale’s somewhat shocking inclusion that allowed Hustle its hat trick, but he’s the least likely to win. Matthew McConaughey, on the other hand, is most likely to win, in part for a career turnaround so remarkable that it has its own buzzword. After winning the Globe and SAG, all the uncertainty fell away and he sprinted into the lead. It’s by no means a done deal, however. Bern Dern is practically the definition of “overdue”. Chiwetel Ejiofor is a great actor in the role of a lifetime, and he’s won his fair share of precursors, including BAFTA. And DiCaprio handed in the greatest and most original performance of his illustrious career. I’ve long suspected that if he somehow managed a nomination, he’d be a major threat for the win, even despite his lack of precursor awards. If it weren’t for the late surge of the “McConaissance,” I’d say the award was his. If any actor has received more laurels than Jared Leto, it’s Cate Blanchett. She’s been the frontrunner ever since Blue Jasmine premiered last summer, and nobody’s been able to displace her. That’s not for lack of trying. There was a time when Sandra Bullock seemed a serious challenger. As the sole actor for the vast majority, she IS Gravity. But her win just a few years ago is generally seen as a mistake. While this performance is far superior, the nomination seems to be largely held as vindication that her Oscar wasn’t a fluke. Meryl Streep was once thought to be a serious contender, until her film’s tepid critical response scuppered her chances. On the other hand, Judi Dench has been making a serious surge lately, with a lot of passionate support and the great Harvey Weinstein behind her campaign. But if anybody is going to topple Blanchett, it might actually be surprise nominee Amy Adams. She grabbed the spot that seemed to be reserved for the fabulous Emma Thompson (Saving Mr. Banks), as Hustle became a major Best Pic contender tied for the most nominations. That brings us back to the opening question. Of American Hustle’s 4 acting nods, neither of the men have even the slightest chance. If Lupita Nyong’o does indeed win Supporting, as everyone else is predicting, then Adams is the only one left to take home an Oscar. Still, it’s an impossibly steep climb to overtake the great Cate. Welcome to The Screen Life’s Oscar Predictions! This is part 4 in a 6-part series, in which you will find a quick breakdown of each category, accompanied by ranked predictions. Also be sure to check out the complete OSCAR PREDICTIONS page (in the menu up top), which will be continually updated throughout the week. This is your grand guide to this Sunday’s big night! Most people think of editing as a technical craft, and I suppose it is (in the sense that filmmaking in general is). But I believe this craft – the piecing together of scenes and shots in just the right way – is just as much at the heart of storytelling as the script. The most textbook example of that may be the surprise nominee Dallas Buyers Club, but that surprise probably makes it the least likely winner. 12 Years a Slave is one of the Best Picture frontrunners and could easily take it if there’s a sweep, but the work is more subtle than some of the others. A couple months ago American Hustle seemed to have an edge, but it’s lost some steam of late. (Personally I think it’s the most confused jumble in the group.) Gravity is the giant in the room, scooping up the majority of the tech fields. It could easily win, and indeed many of the prognosticators are predicting it. However, I think Captain Phillips has the biggest advantage. It beat out Gravity for the ACE Eddie. It’s an editing showcase from a highly respected Best Picture player that many feel got snubbed in a few other categories, and this is probably voters’ best opportunity to award the film. And it helps that editor Christopher Rouse is a huge name in the industry who has won here before. There were a slew of fantastic scripts this year, and all 10 screenplay nominees are deserving representatives of that fact. As for a winner, though, the Adapted side appears to be a pretty easy call. Before Midnight is really in the wrong category, but it doesn’t matter, as the nomination is its reward. The Wolf of Wall Street is the best of the five, in my opinion, but hasn’t been getting as much recognition in the lead-up as the others have. Philomena just won the BAFTA and could be considered a spoiler on the merit of Steve Coogan alone. Captain Phillips won the WGA, which might make you think frontrunner. 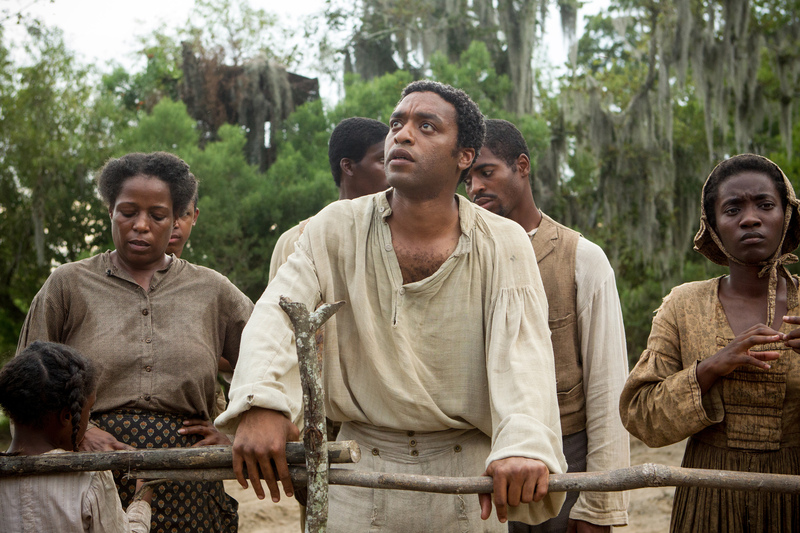 But 12 Years a Slave was ineligible for the guild strict rules. Ridley’s script is all anybody’s talking about. This may be the surest award of the night for that film. Unlike its sister category, Original Screenplay is one of the toughest to call. It’s an incredibly tight race, with 2 films going neck-and-neck. They are all fantastic, though Blue Jasmine is like bringing up there rear, not least because of Woody Allen’s damning scandal resurfacing in the media, but also because it’s the only film not nominated for Best Pic. Nebraska, meanwhile, may be my favorite of the group, and while Alexander Payne didn’t write it himself, his films have an excellent track record in this category. The Academy clearly loves Dallas Buyers Club, which surprised in many more places than expected, and I could even see it winning if the next two split the votes and knock each other out. But those other two are way out in front: Spike Jonze’ Her is the more quirky “writerly” type of script that usually does well here. It also just recently beat out its rival American Hustle for the WGA award. 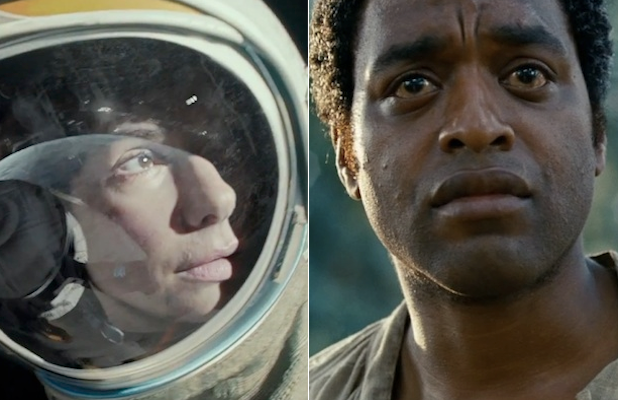 But the latter tied Gravity (sadly missing here) for the most nominations, and is arguably still a close third for the Best Picture. It’s clearly beloved by the Academy, and this may be their best opportunity to finally give David O. Russell his first Oscar. Still I’m giving Jonze the edge by the ever-so-slightest of margins. Welcome to The Screen Life’s Oscar Predictions! This is part 3 in a 6-part series, in which you will find a quick breakdown of each category, accompanied by ranked predictions. Also be sure to check out the complete OSCAR PREDICTIONS page (in the menu up top), which will be continually updated throughout the week. This is your grand guide to this Sunday’s big night! This is often a tough category to call. That’s definitely the case this year, though the presumed frontrunner is upending the usual landscape. 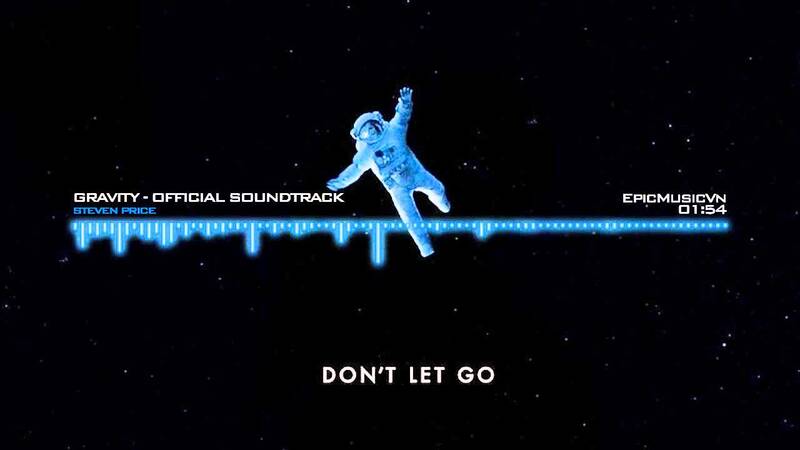 Steven Price’s Gravity score is so inextricably tied into its soundscape that suddenly it feels more like another extension of the two sound categories. And in that sense, it’s the most deserving work and should be the clear runaway favorite to win. But I’m not sure that all the voters will think of it that way. The score on it’s own isn’t exactly memorable or hummable in the traditional way, and some might look at it’s nomination as a curiosity, giving way to just about any of the other four. John Williams is the least likely. Nobody really cares for that movie, and it’s not exactly on par with the scores that made him famous. The same, to a lesser degree, goes for Thomas Newman. That leaves two more Best Picture nominees. Alexandre Desplat is another beloved giant in the field and a considerable threat. But I expect Arcade Fire to have a slight edge. The Academy has an odd occasional fondness for hip, young popular music groups, as evidenced be recent wins for Nine Inch Nails, Three 6 Mafia, and Eminem. Also, this category rarely sees first time nominees, but when it does they usually win. Then again, Price is a a first-timer too, and I’m pretty sure he’ll be the winner. Oh this poor category. The nominations phase often seems rife with controversy; remember the year with only 2 nominees, and one was terrible? This year the most embarrassing nominee was disqualified due to shady campaigning. Unbelievably, that left us with one of the strongest Song categories we’ve ever seen! There’s not a dud in the bunch. Funny how that happened. What’s more, now we have a real race on our hands. 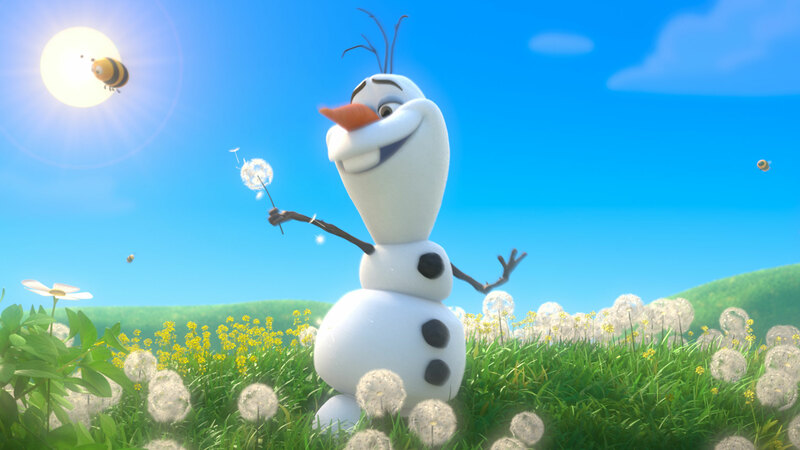 What had once seemed an absolute lock for Frozen‘s epic anthem, is suddenly a complete toss-up. “The Moon Song” may be least likely, but the Yeah Yeah Yeah’s frontwoman has her fans. And the song is crucial to the plot of the film, which always helps. U2 picked up the Golden Globe recently, while Pharrell Willams just nabbed a few Grammys for having a banner year all-around. The campaigns for both have been especially huge in the past month, as voters and the public in general have been inundated with their songs. Still, musical always have an advantage, and Frozen marks a stunning return-to-form for Disney. “Let It Go” harkens back to their iconic wins of the 90’s. It’s competitors may be coming on strong but, it hasn’t missed a beat. Their are already dozens of different versions and parodies on YouTube. No song nominee has gone quite this viral in a long time. I’d say it’s still the one to beat. A lot has been written about the difference between sound mixing and editing. While the difference is clear and makes sense when you learn it, the end results at the Oscars are usually the same. Four nominees show up in both categories (all action/sci-fi/genre films). Movies with a big focus on music sometimes have an advantage in Mixing (just as animated movies do in Editing), which is how Inside Llewyn Davis nabbed that last spot. But its chances of winning are slim, as are that of the largely ignored Hobbit. Lone Survivor has a lot of respect – and not just in the tech fields – and with less competition could been a major contender. Captain Phillips, on the other hand, has been making a bit of a surge lately, and its teams came away with surprise wins in both categories recently for the third Bourne movie. Still, Gravity is the big player cleaning up the majority of the tech fields. It doesn’t hurt that it’s actually the most deserving, incorporating sound and music into an astoundingly original sonic identity. As I mentioned, four films share both sound categories. It just so happens I’m rank those the same, and for largely similar reasons. The one unique contender is All Is Lost, which may actually be one of the most deserving. Because of the way the movie was made – without dialogue, and always surrounded by water – every sound in the film had to be created from scratch in post-production. (This is the same reason animated films often do well in Editing, though not this year, apparently.) Sadly, as its only nomination, this is as far as it’s going to go. Interestingly enough, due to the level of skill and difficulty, I would be inclined to give Lone Survivor a slight edge over Captain Phillips here, except that the latter actually won an MPSE Award. Still, all that’s academic because Gravity will take this handily, making an unusual 3-for-3 for its sound-related work. Welcome to The Screen Life’s Oscar Predictions! This is part 2 in a 6-part series, in which you will find a quick breakdown of each category, accompanied by ranked predictions. Also be sure to check out the complete OSCAR PREDICTIONS page (in the menu up top), which will be continually updated throughout the week. This is your grand guide to this Sunday’s big night! 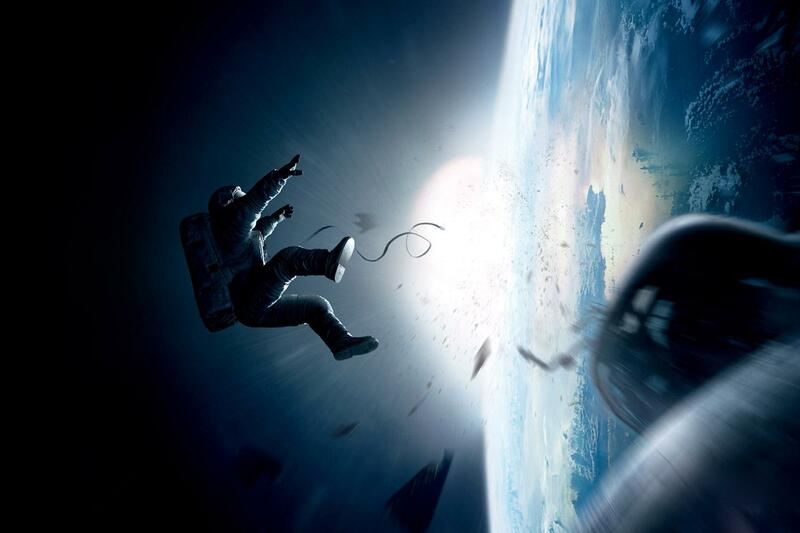 Gravity‘s Emmanuel Lubezki is long overdue. He has several nominations in his belt but no wins. Even with his amazing career, this is his best work to date. The film is the strongest contender for Best Picture, and it’s tech-work has swept everything so far. Oh and 3D movies have won this award 3 out of the last 4 years (and there was no 3D nominee the year Inception won.) This win is almost the surest thing of the night, but if there’s a spoiler, here’s how that might play out: Inside Llewyn Davis only got 2 nominations, despite its critical respect. This might be the best place to vote for it for those who think it deserves something. Black and white photography often has an advantage when it’s in play, and while Nebraska‘s lens-work is highly notable for more than just the medium, voters may just “vote for the B&W one.” Roger Deakins has more nominations without a win than any cinematographer, and just about any living person ever. But as its only nod, Prisoners won’t get him his first win. The Grandmaster is just happy to be here. In the tech categories “best” is often misinterpreted as “most”, and in Costumes (as in Production Design) there is now film with more on screen than the extravagant The Great Gatsby. Despite the film’s overall lukewarm (and that’s being kind) reception, it has been leading the charge. It has major competition, though, from huge Best Picture players and nomination leader. American Hustle is jam-packed with outlandish, scene-stealing disco-era threads. And 12 Years a Slave, while more modest, just surprised with a Costume Designers Guild Award. The Invisible Woman is full of the kind of great Victorian outfits that win here all the time, but did anybody actually see it? Again, The Grandmaster is just happy to be here. Also, let’s take a moment to remember that the best costume work of the year by far wasn’t even nominated: The Hunger Games: Catching Fire should be at the top of this list. This should be pretty cut and dry. The Lone Ranger did have some quality work, but it was a box office failure. With the entire Academy voting on the category, movies that actually lose money are rarely rewarded. Bad Grandpa actually had very impressive makeup. The old man prosthetics not only looked authentic – Johnny Knoxville quite literally disappeared into his role – but were able to hold up to the brutality of the Jackass-style stunts. It could be a dark horse. But in the end, only one of these is a respected movie and a Best Picture nominee. Add to that the recent news that Dallas Buyers Club‘s impressive makeup work was done on an absolutely minuscule budget of only $250. If American Hustle‘s iconic hairdos were in the mix it might be a tighter race, but as it is, I think we have a pretty clear winner. This may be one of the most wide open races this year. Any one of these could conceivably win. 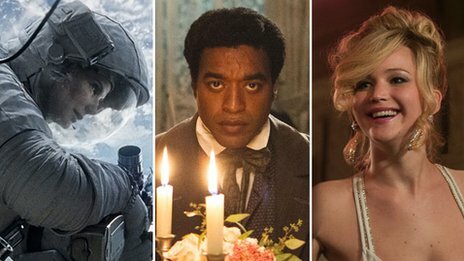 All three major Best Pic contenders, and 4th strong nominee are duking it out, but again it seems The Great Gatsby’s opulence might have a slight edge. It won the Art Director’s Guild Award, along with Her and Gravity. But the latter 2 didn’t have to compete with Hustle or Slave. Slave might have a slight advantage there if Hustle loses votes to Gatsby. Personally I think the amazing near-future designs of Her should take this, but realistically it’s probably closer to the back of the pack. Gravity probably has the most subtle work in this arena, but even it could take the award in a sweep. This is a tough one! And from wide open to completely closed, locked, bolted, and shuttered: This is by far the easiest category to call. This award was sealed within the first 10 minutes of Gravity’s first premier way back at the Telluride Film Festival. Nothing else even comes close, so ranking is a bit pointless. I would’ve put Pacific Rim at a distant #2, if it hadn’t been surprisingly and unfairly snubbed. Welcome to The Screen Life’s Oscar Predictions! This is the first in a 6-part series, in which you will find a quick breakdown of each category, accompanied by ranked predictions. Also be sure to check out the complete OSCAR PREDICTIONS page (in the menu up top), which will be continually updated throughout the week. This is your grand guide to Sunday’s big night! I have seen exactly ZERO of these movies, so I have to base my predictions solely on the precursors and prognosticators. The foreign film juggernaut of the season, Blue Is the Warmest Color, was ineligible. The next behind in terms of critics awards was The Great Beauty. But critics aren’t voting here, so the winner is likely to be something a little more accessible. The Hunt is the box office draw, with recognizable star Mads Mikkelsen, and The Broken Circle Breakdown is more of the smaller indie favorite. Again, like Foreign, I haven’t seen any of these. The Act of Killing has dominated the season so far, along with the snubbed Stories We Tell and (to a lesser degree) Blackfish. But it seems, again, the more accessible 20 Feet From Stardom has the upper hand here. I’ve heard only wonderful things about it, so there really is no reason to vote against it. As for the others, they all have won their share of precursors here and there, and honestly any one of them could conceivably take the prize. Not only have I not seen any of these, I’ve never been able to catch any films nominated for Doc Short, EVER. Even after they began releasing the short programs to theaters almost a decade ago, the documentaries never made it beyond NY and LA. We here in the “flyovers” aren’t apparently aren’t worthy or smart enough to appreciate them. (Bitterness? What bitterness?) Honestly, few others have seen them either, so in this one category? Your guess is as good as mine. If you want to be a shade more informed, though, check out Kris Tapley’s rundown of the category here. One final quick note: The titular lady from The Lady in Number 6 just passed away on Sunday. Ballots are still out, so there could be a bit of either sympathy voting, or surge of recognizability. Just one week from tonight, the Oscars will finally be here. We will finally learn just how much validity all the predictions and speculation of the past few months actually have. Full disclosure: My predictions have never been perfect. I don’t expect that to change this year, especially with so many tight races. But I generally get anywhere from 17 to 21 or so correct. You can use this as a guide to help you fill out your office pool or sound knowledgeable at your party. In addition, I recommend checking out the guys over at In Contention. Kris Tapley is consistently one of the best prognosticators out there. Also take a look at MCN’s Guru’s Of Gold, which compiles the predictions of all the majors journalists and bloggers covering the race.